Garden animals are naturally self-sufficient, but can always use a little extra help. When feeding these animals, you should always take into account their natural nutritional requirements. As innocent as a few pieces of bread, a small amount of milk or some salted nuts may seem, it won't do the animals any good. 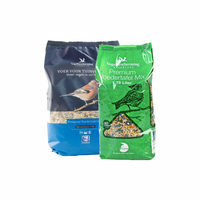 You can safely provide the garden animals with extra food using the carefully composed foods in our range of products. Birds feed themselves using various sources of food. From mealworms, bread crumbs and peels to peanuts and sunflower seeds. In winter, it is more difficult for the birds to find these food sources due to bad weather conditions. During these low temperatures, birds need extra energy to keep their body temperature up. 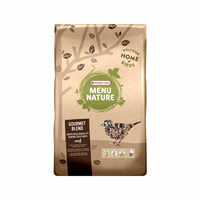 Birds also need extra energy in spring during the breeding season and when rearing young birds. 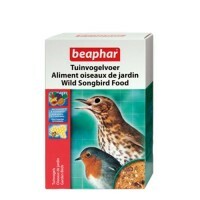 Special food for garden birds is a great solution. 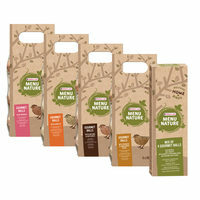 This bird food for garden birds is rich in vitamins and nutrients, supplemented with seeds and berries. Hedgehogs are omnivorous when it comes to eating what nature provides. This does not apply to many food products made for human consumption. Pieces of bread, peanut butter and milk are not suitable for hedgehogs. In fact, hedgehogs should never be given milk as they are lactose intolerant. 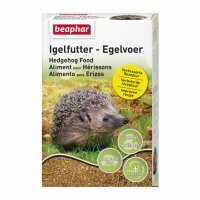 This may give the hedgehog diarrhoea and weaken the animal unnecessarily. Hedgehogs drink water, so you are better off putting down a bowl of fresh water every day. 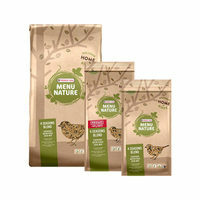 With special hedgehog food, you know that the hedgehog is getting the best possible nutrition. 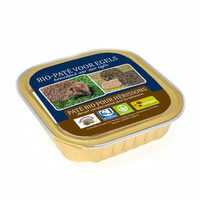 Hedgehog food contains fruits, oils and fats, vegetable ingredients, seeds, nuts and cereals. 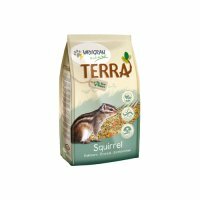 Squirrels mainly feed on vegetable food sources, such as nuts, seeds, berries and bark. This vegetable diet is regularly supplemented with small insects. Salted nuts, pieces of bread and leftover food is not suitable for squirrels. If you want to help the squirrels by giving them some extra food, please use squirrel food. 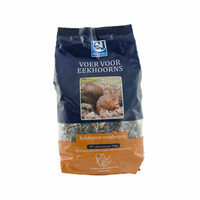 This food consists of nutritious seeds, maize and mealworms, among other ingredients. The food is a great supplement to the food gathered by the squirrels themselves.